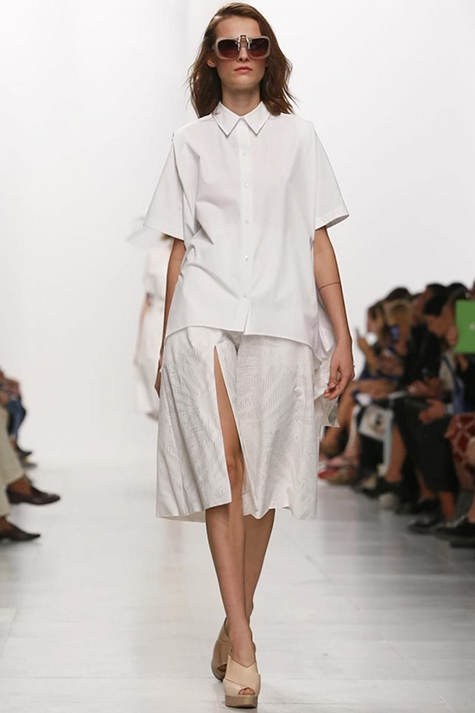 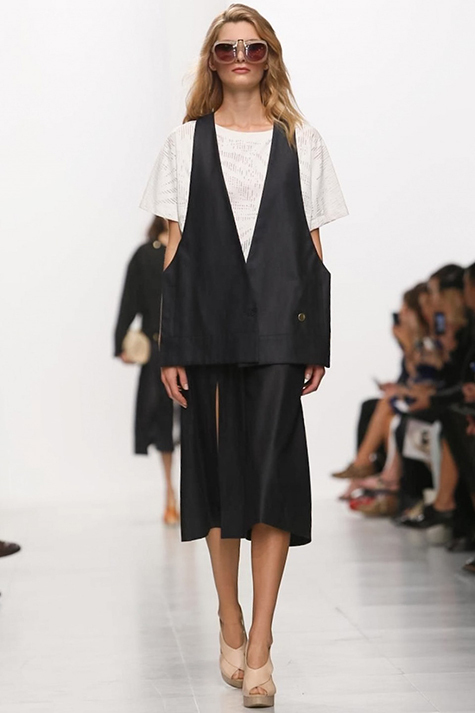 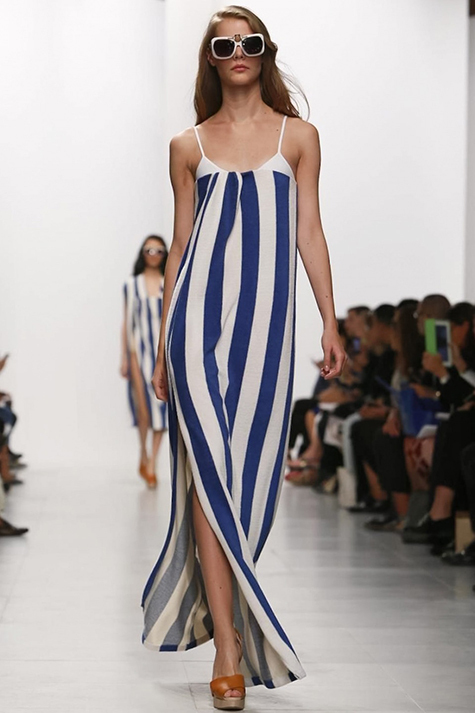 For his SS14 runway show Hussein Chalayan envisioned a combination of neutral colored oversized women's frames juxtaposed with the mechanical masculin features of a flip-up metal sunlens clip. 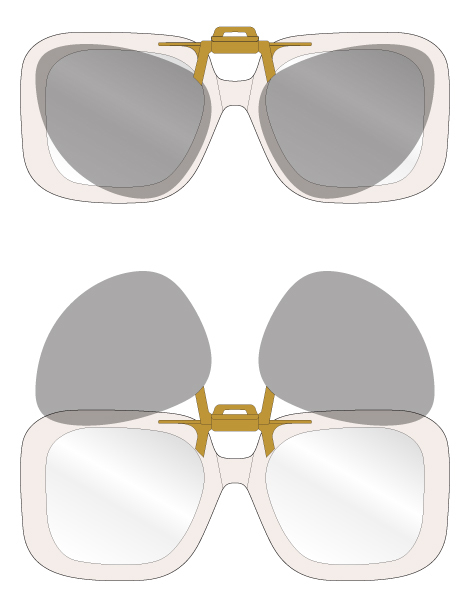 The acetate frames were CNC cut, to accurately mill in small notches and ledges to locate the gold plated clip-on, then shaped and polished by hand. 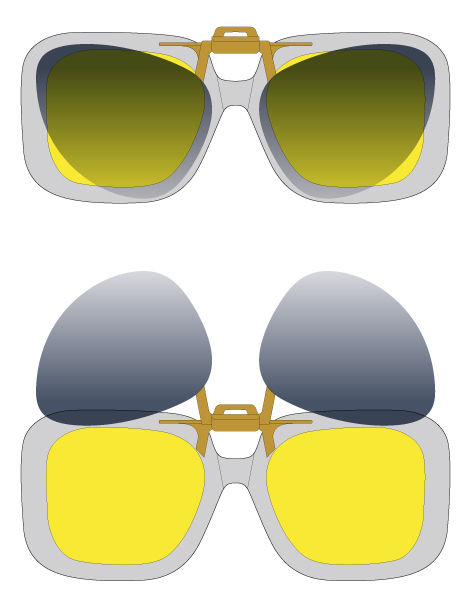 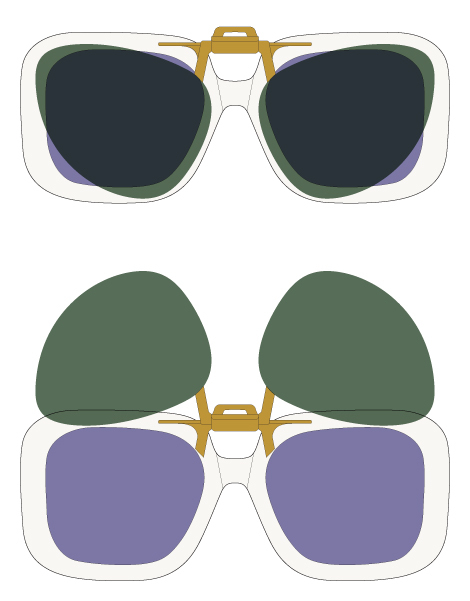 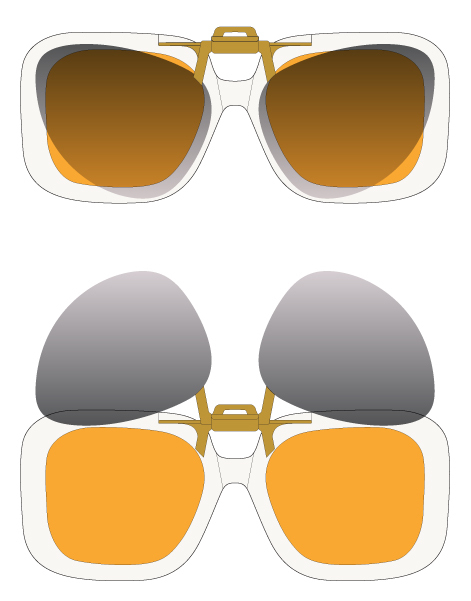 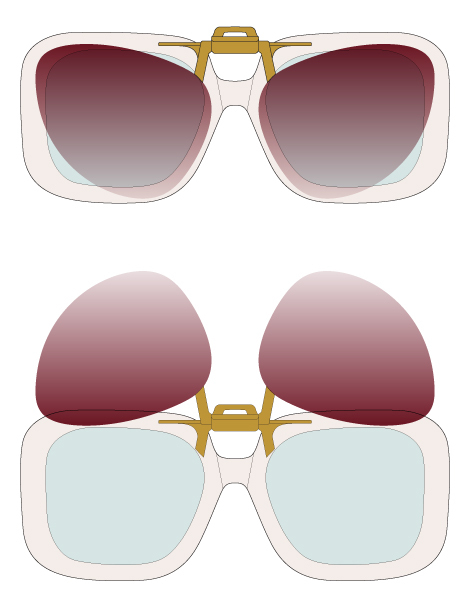 Lenses in the clip on were cut to a cat-eye shape contrasting with the square lenses in the frame, which offered the opportunity to create an unexpected layering of color combinations.